Manufacturer LC Power is normally known primarily for products in the budget segment. When the manufacturer put a cooler with an average price above € 75 on the market, our interest was aroused so well. The LC Power Cosmo Cool must compete in this price against heavyweights like the Noctua NH-D15 and Thermalright Silver Arrow. LC Power is there to cope? Cosmo Cool is really a colossus. The cooler weighs more than a kilogram, 1164 grams to be exact, and 15.8 inches high, 14 inches wide and 17 inches deep. The base plate is in the middle, so both sides cross the cooler 8.5 inches from the center of the CPU socket: something to be reckoned with. 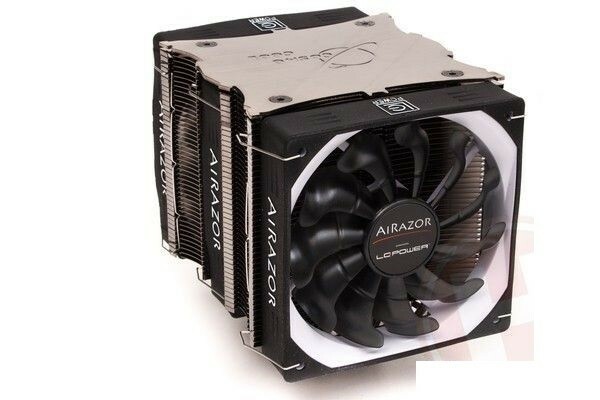 A major reason why the cooler is so large, that there is a three 120mm fans have been placed, on the type of LC Power Airazor LC-120-CF-PRO. According to the manufacturer, these fans make use of a hydraulic bearing. As we know that, in principle, an improved slide bearing, which is difficult to estimate how much better the expected lifespan than a normal plain bearing. 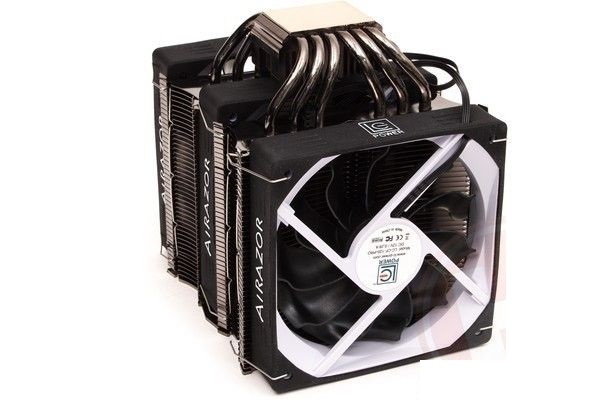 The fans run according to the specifications between 600 and 1800 rpm and via a 4-pin PWM connector plugged into the motherboard. Between the fans, we find two cores, which are connected via a six 6mm heatpipes with a copper baseplate. The cooler is suitable for all current Intel and AMD CPUs, and given the size and price of course intended primarily for high-end CPUs, such as Intel’s Socket 2011 platform. The heatsink is nicely finished, with the heatpipes do not protrude above the heatsink. A neat finish may of course also for this amount. The fans are in white with black: adjusts the cooler thus entirely in the emerging trend of PC’s with a black / white color scheme. The average price in the Netherlands is a thick 77 euro, we should note that the availability is not livliest. Who the button Show foreign shops used in the price comparison shows that a small number of German shops also provide the product but not at a lower price. Cosmo Cool is simply an expensive cooler and asks whether the product is worth the amount. At the highest speed (12V) we measured 56 dB (A), and there can be long or short, we are talking about, but that is a huge lot of noise. Especially considering the fact that the cooling performance in high rotational speed also another disappointing, this is a mediocre result. Worse is that the cooler at low speed (7V) actually is not completely silent: 44 dB (A) measured at 10 cm distance means that the cooler also at normal listening distance is still audible. Again, the Cosmo Cool is so clearly through the basket. Excessive cooling combined with a higher noise level is natural guarantees a poor efficiency. Only the infamous noise makers CoolerMaster V8 and SilverStone HE01 perform even worse. In terms of price, LC Power wants to compete with the “big boys” an average of over € 75 for this Cosmo Cool LC-CC-120-X3 is of course not wrong. What do you get in return? A cooler that looks absolutely impressive, but not performing well. 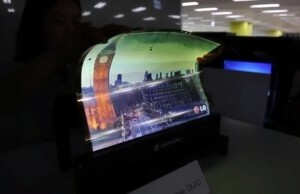 The cooling performance considering the price tag clearly substandard. In addition, the cooler makes high speed and extremely noisy even at low speed is anything but quiet. The results are very mediocre scores in our efficiency calculation. Long story short: for € 75 are significantly better CPU coolers for sale.